Hurricane-ravaged Puerto Rico on Wednesday launched a new drive to become the 51st US state, with the island’s governor demanding an end to “second-class” treatment of its citizens. Puerto Rico’s more than three million residents are US citizens, with no obstacles to living and working on the mainland. Yet the US commonwealth in the Caribbean has just a non-voting delegation in the US Congress in Washington, and Puerto Rico residents cannot vote for US president. 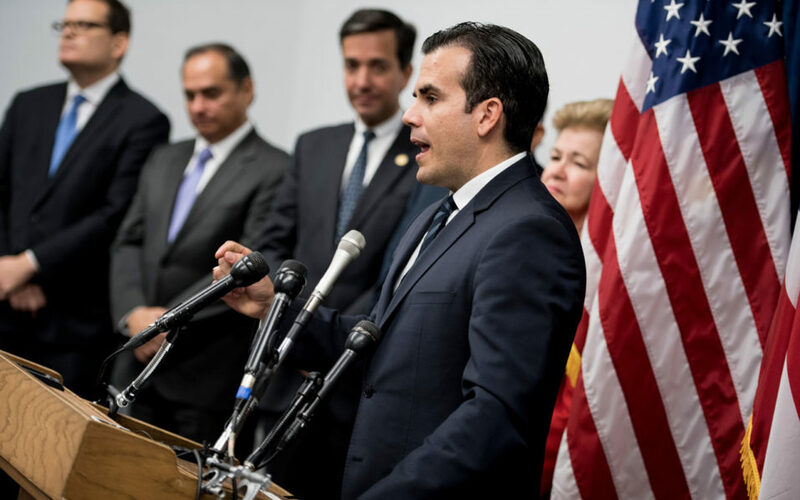 “It is time to end Puerto Ricans’ second-class citizenship, and statehood is the only guarantee for that to happen,” Governor Ricardo Rossello told a press conference in Washington. In June, Puerto Ricans voted overwhelmingly to embrace statehood in a non-binding referendum, but turnout was extremely low. The island, which is grappling with public debt of $73 billion and a stuttering economy, was devastated by Hurricane Maria in mid-September. Authorities are still struggling to restore power and clean drinking water to all citizens, and many homes and businesses need to be rebuilt. US President Donald Trump’s government has faced criticism over its response to the deadly tragedy, with many insisting more federal help would have been forthcoming for a state in a similar situation. Congress ultimately decides whether or not to grant statehood. If the territory were a regular US state, it would have two senators plus at least five representatives in the US House of Representatives, according to mathematical formulas based on its population. What is new in this effort is the form of the drive, which is copying how some former US mainland territories became regular US states, such as Tennessee. Puerto Rico has chosen a shadow Congressional delegation of five representatives and two senators to demand recognition in Washington and lobby for statehood. One of the shadow representatives is Major League Baseball Hall of Famer Ivan “Pudge” Rodriguez.